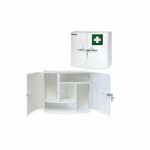 With medical shelves from MEDshop.dk you can store your medicine safely and securely. 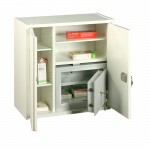 We naturally carry lockable medical cabinets, so that only authorized personnel can access the stored medicine. 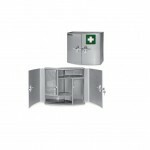 We provide medical supplies in different sizes and for different purposes. If we do not have the appropriate online medicine, please feel free to contact us. 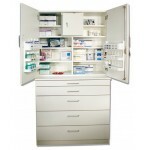 "We can get most types of medicine cabinetshome.